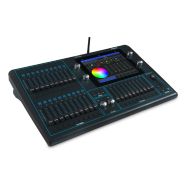 The SnakeSys Stage Box S6 is a rugged 2 universe network (Artnet or ACN) to DMX convertor with a 3rd universe of DMX Input only. 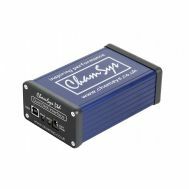 The SnakeSys S6 supports both Art-Net and ACN input. When in ChamNet mode, the 2 output ports can be assigned to particular universes and changed to input ports. Using Chamnet configuration, data is stored on the device. 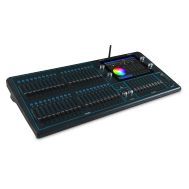 SnakeSys S6 has an additional DMX input only port on the bottom. 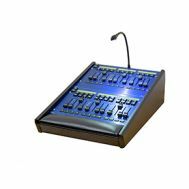 This enables the S6 to work as a stand alone DMX input with DMX input on a third universe. Using this device with the MagicQ console software allows for advanced merging and splitting across the 2 output universes. 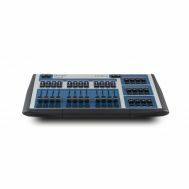 SnakeSys S6 includes a battery so that it can be configured even when there is no mains power, for example when prepping the lighting rig. Pressing the centre button activates the unit giving access to the menu systems. The configuration is stored within the unit. The front panel also includes a label area for marking up the box with a pen if required. Three mounting points for omega clamps allow the unit to support four different orientations for convenient mounting or hiding within set pieces. Mounting holes are also provided for safety chains and secondary fixings for additional safety or to allow routing of cables. Supports Hook Clamp or Omega Clamp.